Sometimes when you're working on a property with an old Austin house, you have to get creative when it comes to meeting code. On a recent project, MWD needed to secure a pool permit for a property whose existing impervious coverage was at 75%. Typically when a property undergoes a major renovation, steps must be taken to bring the property up to regulations. The percent impervious coverage allowed in this area is 45%. In order to obtain a permit, we would first need a variance from the Board of Adjustments. Variances are granted when conditions on the site offer no other options. Between the existing house footprint, steep slope of the site, the CRZ limitations of a Heritage Live Oak, and the current drainage solutions protecting the home, there was no design solution that would have made the site compliant. A site plan showing the existing site conditions. A site plan showing the proposed solution. In this instance MWD employed a two-part strategy to reach the City of Austin's current zoning regulations. We were able to eliminate 11% of the impervious coverage on site by replacing it with pervious material and planting. 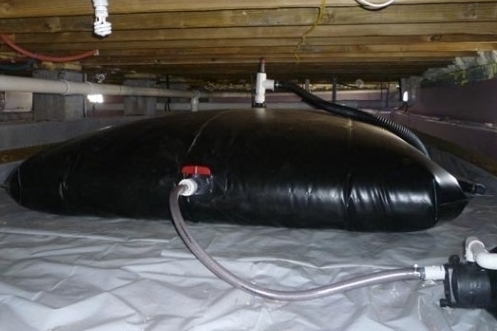 We worked with Harvested Rain Solutions, LLC to install two rainwater pillow tanks under the house -- storing 1,700 gallons of roof rainwater. By capturing 76% of the rainwater from the roof, we mitigate a significant amount of runoff. The captured rainwater serves as a source for irrigation and on-site retention. 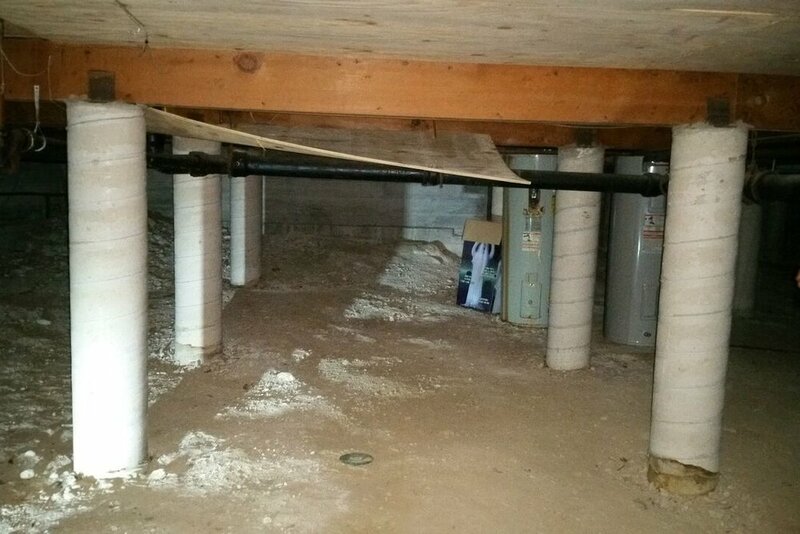 Harvested Rain Solutions, LLC designed and installed pillow tank system located below the house, in the pier and beam crawlspace. The tanks are completely hidden from view. Using these techniques, MWD was able to secure a variance to impervious coverage and install a pool -- transforming a concrete driveway into a back yard retreat! See the finished product below.